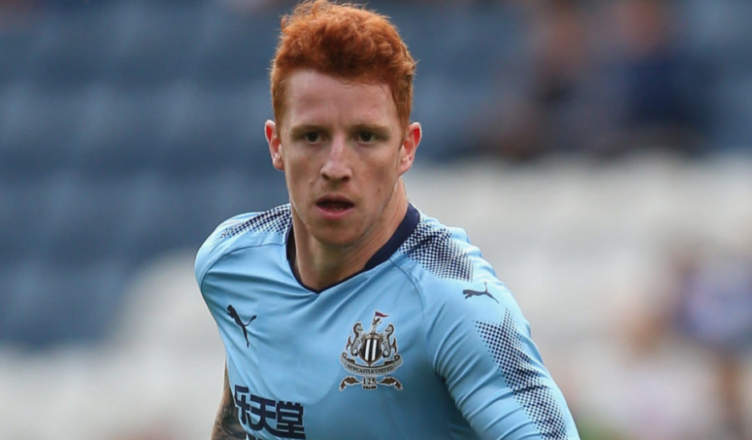 Jack Colback could yet leave Forest & start again at NUFC – but only on one condition – Report – NUFC blog – Newcastle United blog – NUFC Fixtures, News and Forum. Despite Nottingham Forest looking set to make a permanent move for him this summer, the Chronicle claim that Jack Colback may not have given up on his Newcastle career just yet – but only if Rafa Benitez leaves the club. As we all know, Colback was totally banished from Benitez’s plans before his loan move to Forest, but it’s claimed that he might yet assess his options if Rafa left this summer and he was then in the plans of any new manager. ‘Forest do have an option of turning the deal into a permanent one but there is also the possibility that Benitez leaves and Colback finds himself in the plans of a new manager. In all honesty, I don’t see how any new manager (perish the thought!) would want Colback when we have the likes of Shelvey, Ki, Diame and Longstaff playing in his position. One issue that is not yet clear is whether Colback is due to leave on a free this summer. He’s technically out of contract in a few months time, but it seems bizarre that we’d loan him to Forest (rather than sell while he’s available for a fee) if he’s due to leave for nothing soon. Time will tell, but let’s hope Rafa stays and Colback moves on to Forest permanently – with this scenario seeming like the best outcome for all parties. Guaranteed less than 5 articles up from every single Chronicle article, Olly Hawkins the parrot! We all have newsnow Olly, for once can you actually write something we have not already read elsewhere? Do you read my previews, post match reports, player ratings, opposition opinion pieces? This is a blog where all the NUFC news is brought together and in these ‘news pieces’ we comment on that said bit of news, giving our opinion and take on it all. If the blog’s not for you then no problem, but I don’t copy the entire nature of an article from say the Chronicle, I take a snippet from it that some fans may have missed and write a piece on it, having my say on the matter etc. If you prefer more of of an original piece then please do read the ones I do pre match and post match every week. I also have a piece comparing our run in to all 7 relegation rivals coming up later.